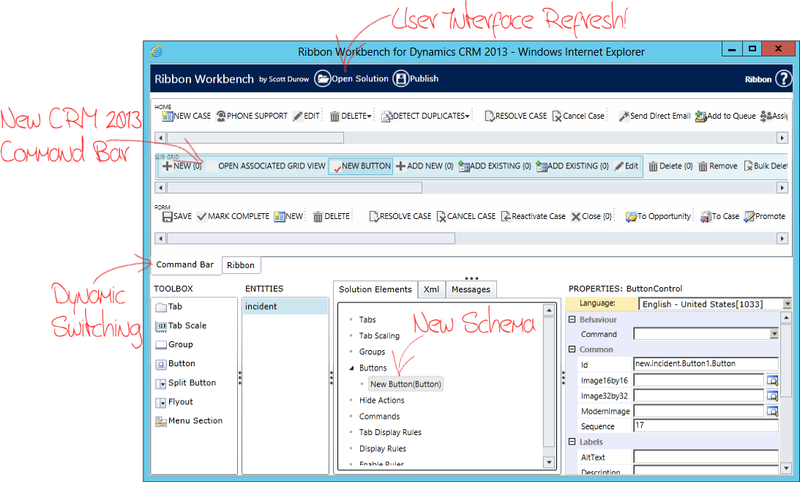 The Command Bar in CRM 2013 is still defined with RibbonXml, but rendered differently. A DisplayRule is used to exclude buttons from the CommandBar. The Ribbon is still present on non-refresh entities and in Outlook so it's important to still have support for Ribbon editing. Since the Ribbon Xml remains unchanged, it's important to understand and differentiate between Tabs/Groups and Layouts. The Ribbon Workbench is already an established 'brand' than people know about. So until we have CommandBar XML in a future version of Dynamics CRM – it'll always be the Ribbon 'XML' Workbench with a *silent* 'XML'!